Earth has crossed it's own tipping point and is creaking under the strain: Two thirds of animals expected to be extinct by 2020! Below is just a glance of the carnage going on weekly on our planet, news we don't usually here on the news. MANILA - The town of San Luis in Pampanga province has completed the slaughter of some 600,000 birds in a bid to contain the country's first bird flu outbreak, Mayor Venancio Macapagal said Tuesday. 21st August 2017 - 4,000 birds killed due to disease in Kalmar County, Sweden. 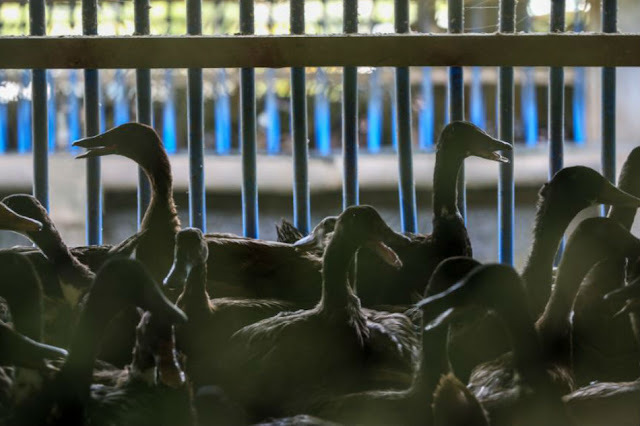 Link SWEDEN - Dr Ingrid Eilertz, Chief Veterinary Officer Director and Head of the Swedish Board of Agriculture Department for Animal Welfare and Health at the Ministry for Rural Affairs has reported an outbreak of Newcastle disease at a poultry farm located in Kalmar County. 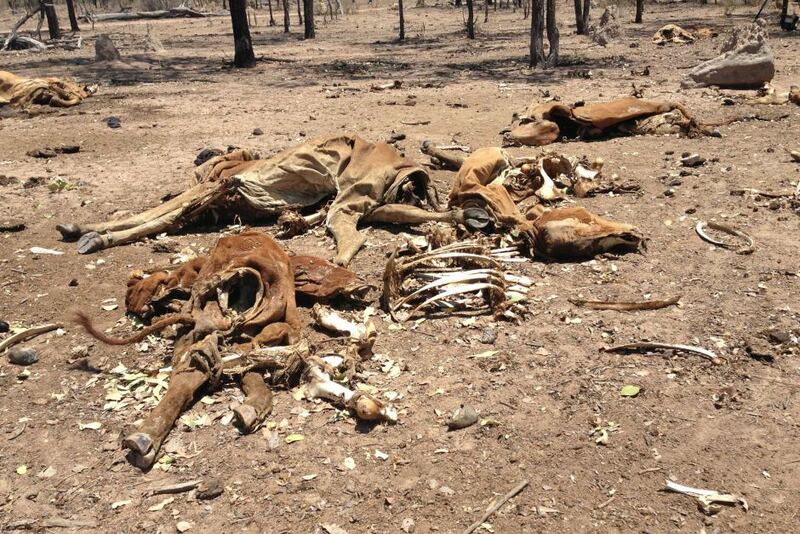 The mayor of Macharetí, Eduviges Chambaye, confirmed on Thursday that 2,474 heads of cattle died in not more than a month due to unknown causes, a sanitary situation that alarmed the cattlemen of that region of Chaco de Chuquisaca. 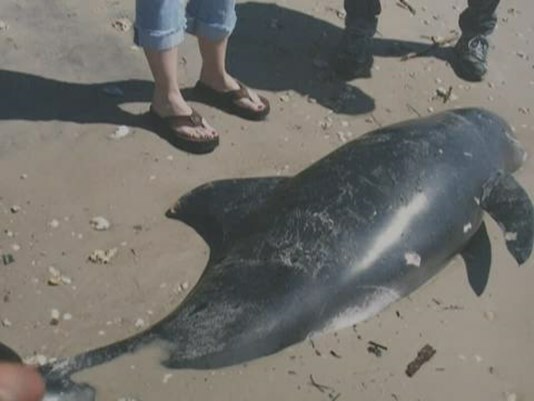 This year, 47 dolphins and 51 endangered sea turtles have died off the Gulf Coast and scientists are trying to figure out if they are the latest victims of the massive dead zone in the Gulf of Mexico. PINELLAS COUNTY, Fla. (WFLA) – The smell of dead fish is so bad, it makes you gag. Thousands of dead fish are washing up along the shores of Tampa Bay. 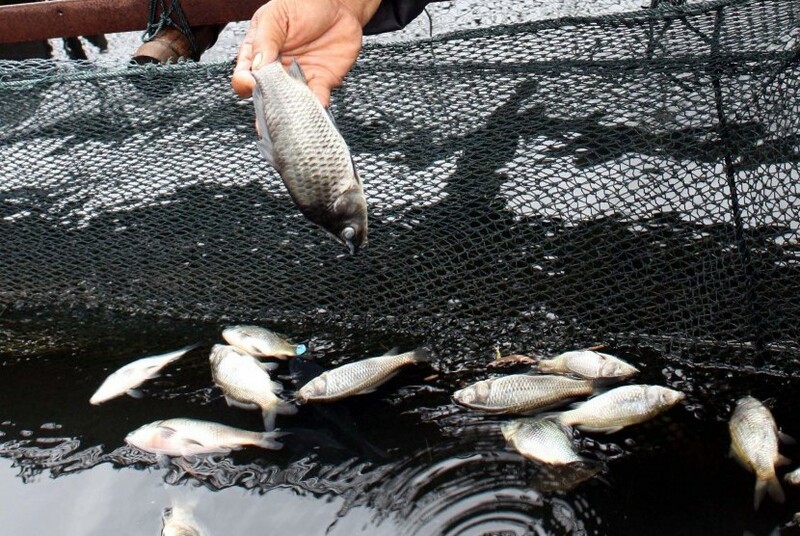 Tons of fish in a floating net (KJA) pond in Jangari, Cianjur regency died within the past week. This condition is suspected to occur due to seasonal changes that affect the lifting of feed and domestic waste at the bottom of the reservoir upwards. One fish farmer in Jangari, Denden Supriadi (46 years), said the condition of the death of dozens of tons of fish this occurred in the past week. 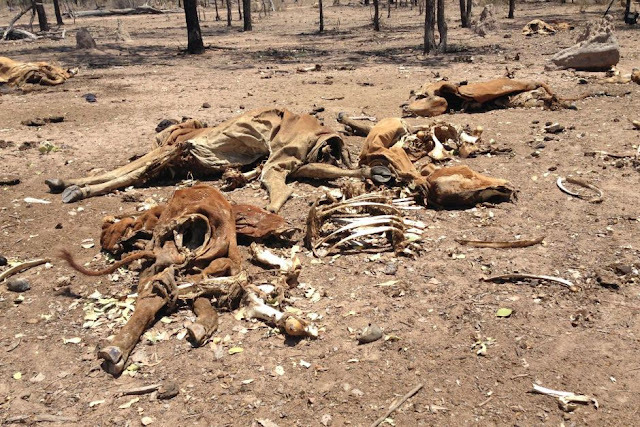 "The possibility is due to the effects of recent weather changes,"
The Food and Agriculture Organisation (FAO) has said that two million animals have been lost to a “devastating” drought in Ethiopia. The UN agriculture agency said that the drought had devastated herders’ livelihoods as it exhausted pastures and water sources.